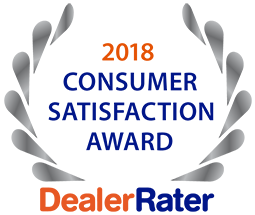 Sorg Nissan is proud to serve drivers in and around Warsaw with an exceptional customer experience every time they visit our Indiana Nissan dealership. Here at Sorg Nissan, we strive to make it Easy From The Start, whether you’re shopping for a new Nissan or coming by for Nissan service. Our Nissan dealership in Warsaw, IN, has been family-owned since 1964, and as a staple of the Warsaw community, we’re dedicated to providing the hassle-free and transparent car dealership experience local drivers deserve. If you’re looking to buy or lease a new Nissan, you’ll love the selection at Sorg Nissan. From the new Rogue SUV to the Nissan Sentra sedan, there’s something for everyone on our lot. Are you car shopping on a budget? Explore our used Nissan inventory, which includes cars, trucks, vans, and SUVs from other makes too. You can get the keys to an affordable used Nissan Murano or Nissan Altima in no time. Regardless of the vehicle, you have in mind, our Nissan finance team will help you secure a payment plan that you feel comfortable with. Down the road, choose our Warsaw Nissan service center for all your auto repair and maintenance needs. From routine maintenance like oil changes and wheel alignments to more significant repairs like brake service or engine repairs, every task will be handled by our professional Nissan mechanics. Don’t hesitate to order Nissan parts here, either, and check out the Nissan service and parts specials we’re currently running. Visit Sorg Nissan at 2845 N Detroit St. in Warsaw, IN, which is easy to reach from Goshen, Fort Wayne, South Bend and beyond. When you want to shop at an efficient Nissan dealership that offers the transparent experience you’re seeking, choose Sorg Nissan. We make it Easy From The Start!